Alright, friends, have we all agreed to stop buying frozen, grocery store hamburgers and unanimously decided instead to try making our own patties this summer? Have the last couple days of me preaching from my soapbox convinced you that there are better ways to barb-e-que? Yes? Good. Now we can move on to fantastic salads to accompany those delicious burgers! 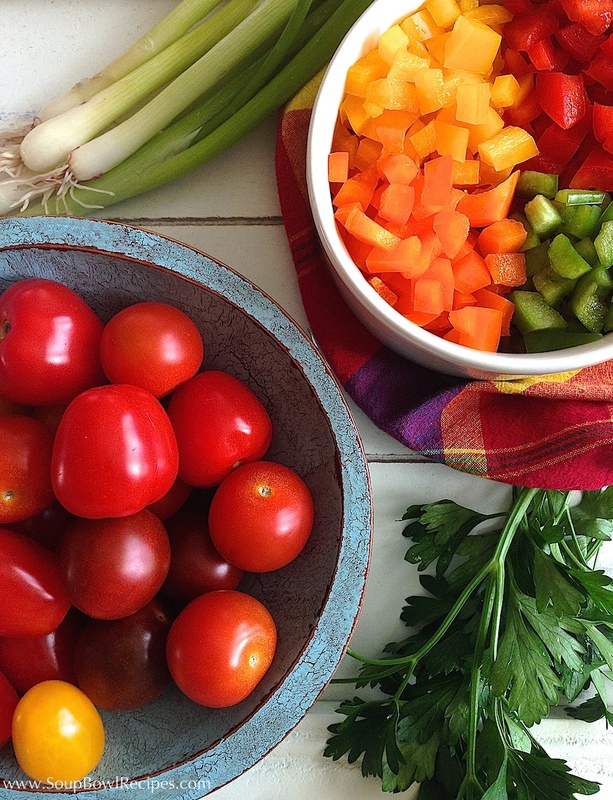 Below are two, super easy salads that pretty much go with any main dish. This dish is a twist on the typical broccoli salad that we all grew up on, only a little more sophisticated. The addition of almonds and ginger punch up the taste and crunch factor, and using julienned broccoli instead of florets makes it less of an awkward mouthful while you’re trying to socialize. Because, really, who wants to try to have a conversation while munching on half a tree? 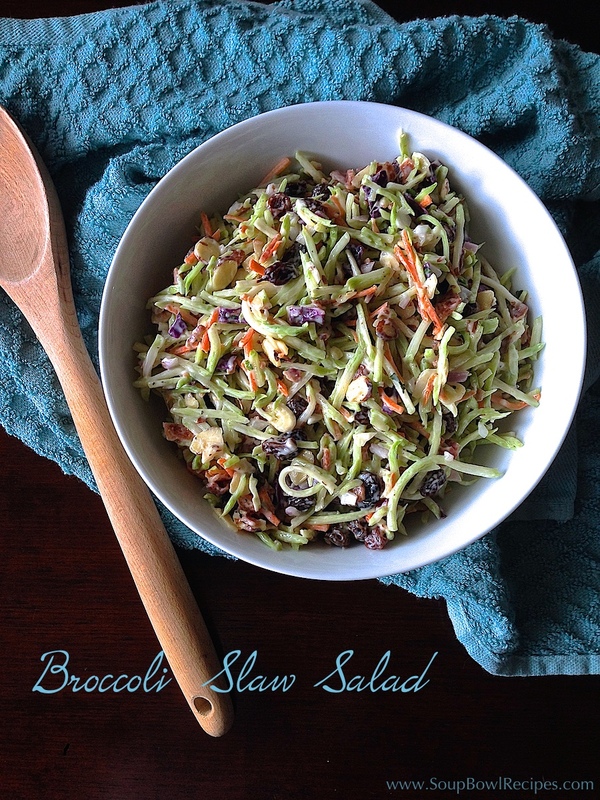 Add broccoli slaw, cooked bacon, onion, rasins, and almonds to a large serving bowl. In a separate small bowl, whisk together mayo, vinegar, sugar, ginger, salt, and pepper until creamy. 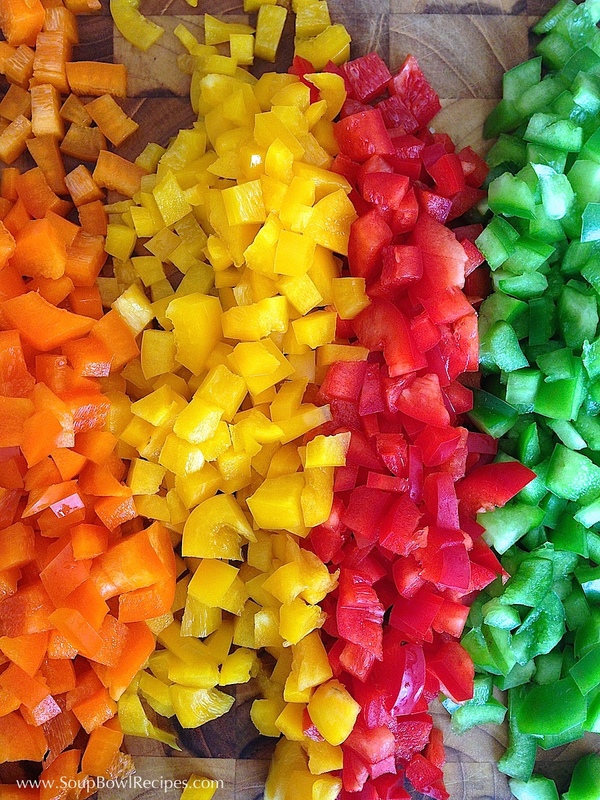 Pour ¾ of the dressing over the salad and stir to combine. Taste and add the remaining dressing if needed. Either serve immediately or cover and refrigerate for up to 4 hours. 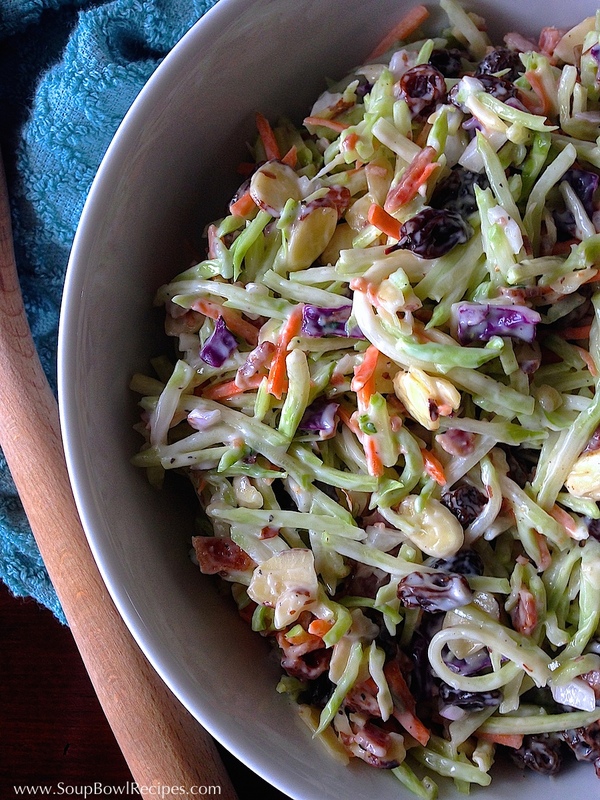 This salad dates back quite a ways — actually, it was inspired by one I used to get at a little deli near my house in Seattle. They only served it during the summer, and at the end of the season, I would load up on tubs of it and eat it like it was my job. When I moved to the East Coast, I missed my light and delicious summer salad, so I decided to make it myself. In a medium saucepan, bring water to a boil. Once boiling, stir in couscous and remove from heat. Cover and let sit for 5 minutes. Fluff with a fork to break up any large chunks. Meanwhile, in a small bowl or measuring cup, whisk together oil, vinegar, lemon juice, garlic, salt, and pepper. 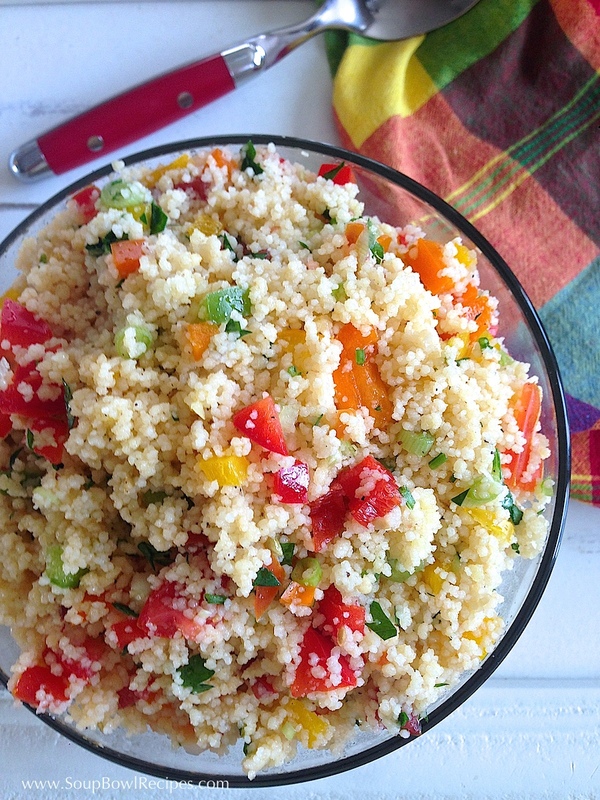 Spoon couscous into a large serving bowl and add peppers, tomatoes, onions, parsley, and dressing. Toss to combine. Season with more salt if needed, and cracked pepper. 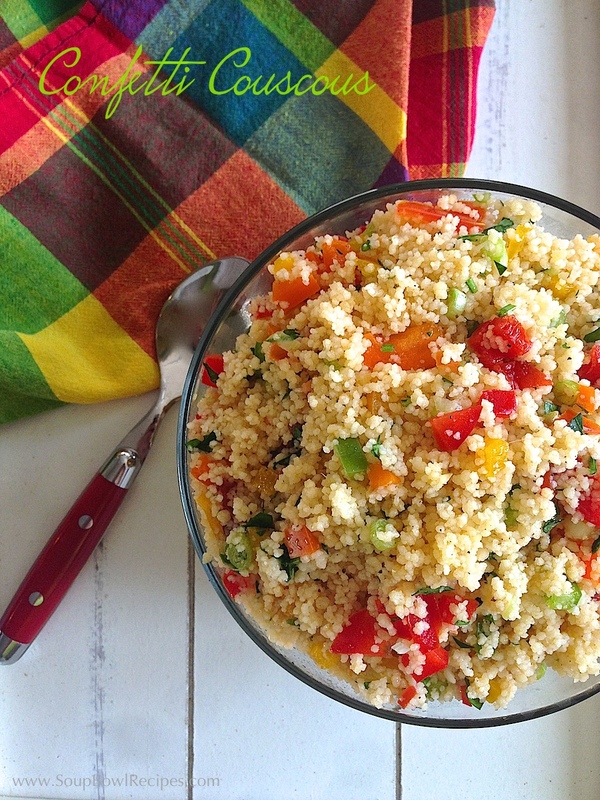 Couscous is best served the same day, but can be covered refrigerated for up to 2 days.